Need to Pass The Tape Test? Looking for Significant Fat Reduction? Advancements in Body Contouring can remove inches from your waistline with Minimal Downtime. Being in the military has it’s perks, but passing the “tape test” isn’t one of them. The tape test is series of measurements used to determine your fat content and your overall physical condition. These measurements are taken regularly to ensure our military personnel remain at healthy weight levels. If you are unable to pass this tape test, it could put you at risk of losing your position, your promotion or even your well-earned military pension. To make matters worse, recent budget cuts have put more pressure than ever on military personnel to meet tape test standards. Because if you fail, you are now immediately eligible to be cut under budget constraints! • 35% of male personnel do not meet the weight standards. • Roughly 24,000 Army personnel were discharged between 1992 and 2007 for failure to comply with weight standards. There are tough restrictions and the potential of dismissal for military personnel that cannot meet the requirements. Those restrictions go into effect as soon as you fail any part of the physical requirement. Many say it’s an unfair system of judgment, but until changes are made, it’s the rule and people employed by the military need to comply with the standards. The good news is, we can help. Through our advanced body contouring procedures, such as SmartLipo Triplex Liposculpting, we are able to melt away large volumes of fat from targeted areas resistant to diet and exercise. In most cases, we can remove up to 6 inches in circumference from your waist if needed with one minimally invasive treatment! With intense workouts and a regimented lifestyle, soldiers are arguably some of the fittest people in America. As any medical professional can tell you, however, being healthy doesn’t always mean being rail thin. Unfortunately, the U.S. military doesn’t seem to agree. 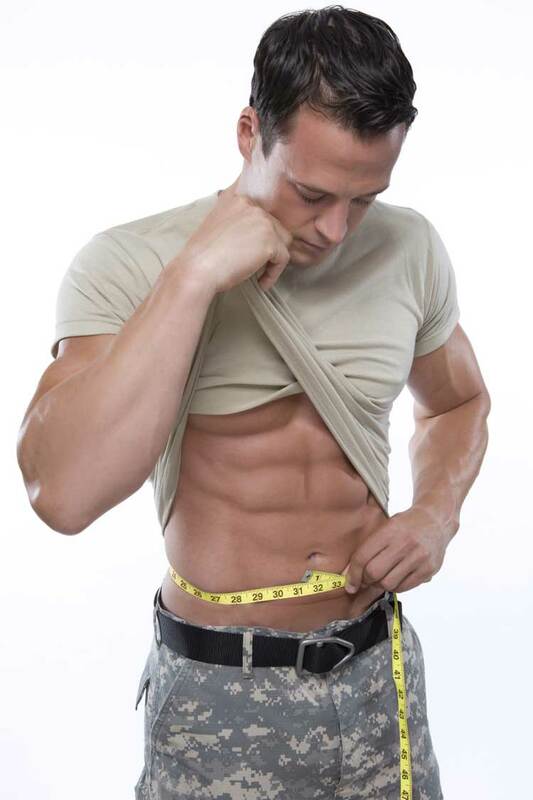 There are many military members that are struggling with their dimensions, who have tried diet modification and exercise programs, yet they are unable to reduce their waistline. If you fall into this category, Imagen has the solution for your tape test problem. Our patients aren’t overweight, they just need to meet the requirements. If you or your spouse feel that a Body Contouring procedure can help provide a solution to meet your military fitness requirement, then please schedule a complimentary consultation with Dr. Frank Soto Leon or Dr. Jennifer Tighe de Soto. As always, we offer an additional discount for all military members and their families to show our appreciation for all that you do. If you would like to schedule your appointment or simply want to learn more about the technology, please contact Imagen today for your risk-free consultation.